One of the things I love about Japan is the bar culture. I love visiting bars in Japan. 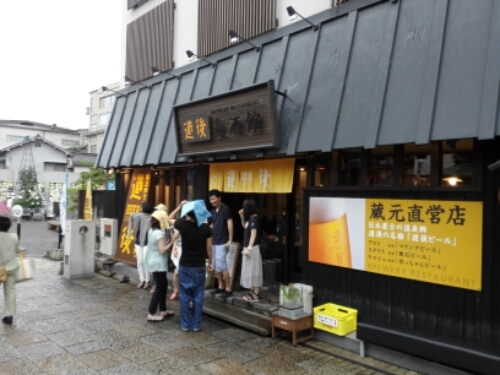 This is where the salarymen unwind after a long day at work, where the Japanese open up after a few beers, a place you can get good beer, good food and make good friends. 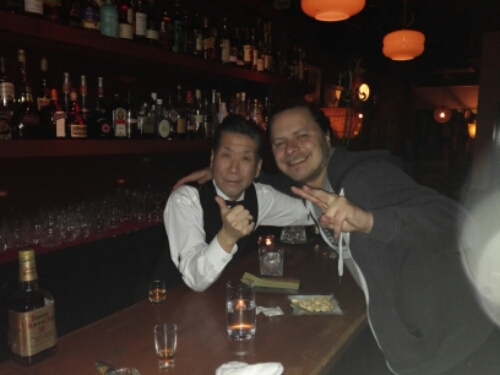 Here you will find all the post I have written about great bars and places to drink in Japan. They are all worth a visit. Some for their service, some for their strangeness, some for their beer and some I don’t really know why I like. I have visited almost every bar here several times and greatly recommend them. If in Japan, why don’t you drop by one of them? I don’t think you will regret it. My regular bar in Tokyo, The World End lies in Ueno, just across the street from the station. It is on the second floor in a bright red building, impossible to miss. The bar is frequented by a good mix of locals, expats and tourists, and a great place to meet people. They have a good selection of Japanese and imnported beer as well as tasty pub food. In 2015 I celebrated New Year’s Eve there, a fantastic experience. Not far from The World End, in Nezu, lies Hedge 8, a hard rock and model car bar with a large selection of American Craft Beer, as well as pub food such as burgers, hot dogs and tacos. Only a few hundred meters away lies Nezu Shrine, a beautiful shrine, and the two can easily be combined in a day. This bar has many regulars, and the bartender can often be seen fixing his model cars together with his guests. The Warrior Celt in Ueno is a bit more shabby, older, in need of renovation. Just the sort of place I love. Their selection of British Ales is very good, the food I never dared try. 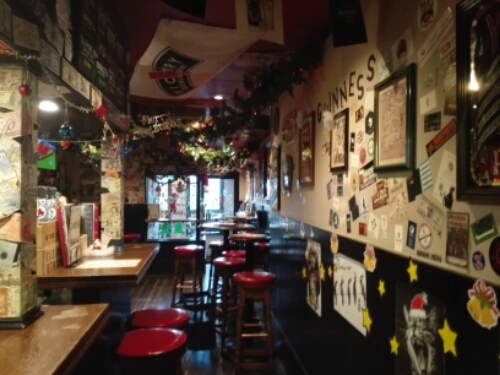 In Ginza, on the way towards Tokyo Station lies Lorelei, a strange little basement pub. It calls itself a German bar, and is certainly decorated as one, but the karaoke is 100% Japanese. A visit here will be filled with delicious German beer, german food as well as lots of karaoke. Mainly visited by salarymen, it has a great atmosphere, and I have never had a dull evening here. Shimokitazawa, just west of Shibuya, has several music bars, some of them sporting an impressive collection of vinyl. An older, not so developed district of Tokyo, Shimokitazawa is home to many independent stores and live houses, and well worth a visit if you are in Tokyo. 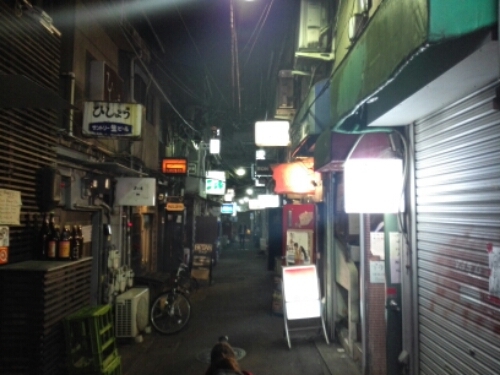 And if you are visiting Tokyo and looking for cool bars, make sure to check out Golden Gai in Shinjuku. This small block of houses is filled with bars, 270 in total I’ve heard. They are all tiny, room for four to eight people, and many of them are dedicated to a certain subject or theme as well. Golden Gai gives you a glimpse into Showa-era Japan, and I’ve had fun there on every visit. In Kyoto we found a very cool bar, BLAED, back in 2012. I was sad to learn on my next visit to Japan, in 2014, that it was closed. In Osaka, people congregate towards Dotombori Street in the Namba District. A lively street filled with eateries and bars. Has to be visited if you are in Osaka. 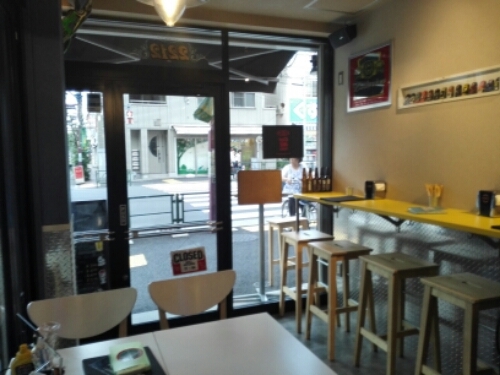 In Okayama I like to visit Aussie Bar, an Australian bar run by an Aussie expat. Great for meeting expats as well as Japanese. In Nagoya lies Smash Head, both a bar an a motorcycle repair shop. I visited with a friend in October 2012. 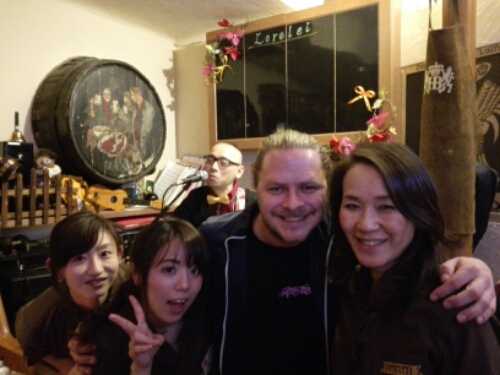 While not a bar, I had a great time at Oktoberfest in Himeji. There are always festivals happening in Japan, and most of them involve drinking. After a nice warm bath in Dogo Onsen in Matsuyama I was glad to find a brewery pub just across the street. Here I could enjoy some local brew before heading back out in the rain. In Otaru, a small town on the island of Hokkaid, I found the Otaru Beer Brewery Pub, a German inspired pub whose ber is brewed according to the strict German Purity Law.